Spin, spring and swing! 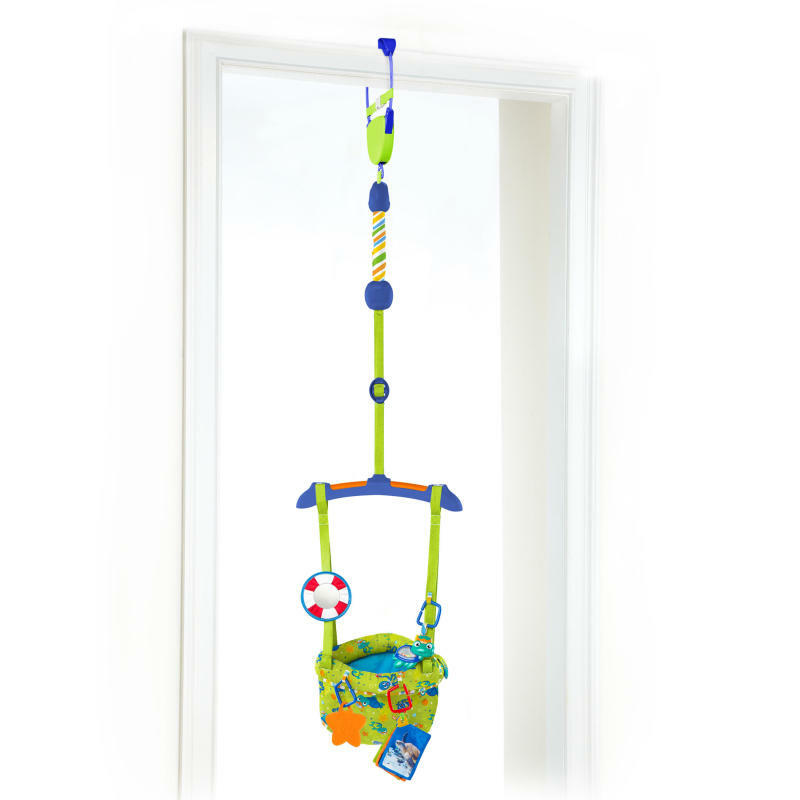 This hanging baby bouncer will have your little one jumping for joy from a comfortable seat fastened securely to your doorway. The Baby Einstein Sea and Discover Door Jumper adds a splash of seafaring adventure for your baby’s entertainment. Ocean-themed toys are easy to detach and reposition, so you can keep jumper playtime fresh with an assortment of rotating toys. Baby will love the mirror for self-discovery, starfish-shaped toy, Baby Neptune rattle and three crinkle fabric flash cards with real underwater imagery. Our lightweight frame is ideal for travel and on-the-go fun. Adjustable straps will fit baby’s height just right, and our door jumper clamp features an additional secondary strap for added security.